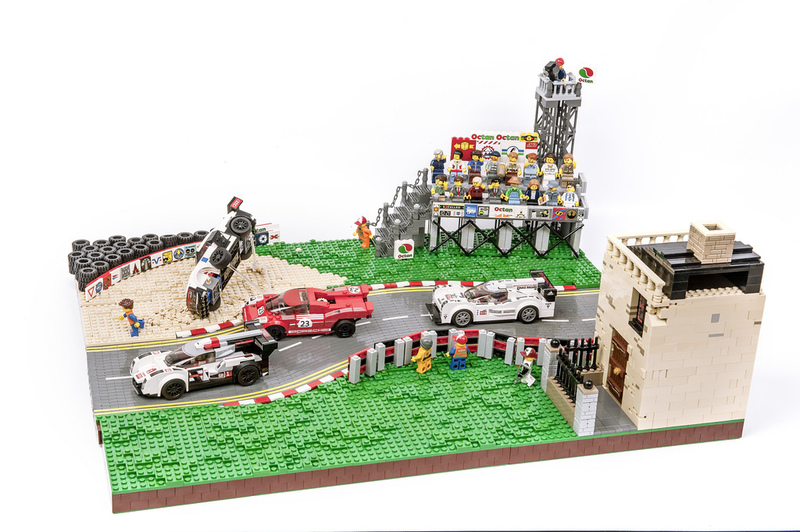 I usually prefer not to feature creations which involve official LEGO sets but Simon Pickard definetely requires an exception with his racing build. He has utilized four official car models from three different sets but the absolute attention center of this creation is the amazing curved road. Such superb craftmanship is complemented with a flying car and its tire resulting in a perfect action scene. Just a little peek is enough to give you an adrenaline rush! Also note the filming tower, angled tribune, decorated billboards and tire barrier. Unofortunately, there are no more photographs of this simple yet effective build on Simon’s Flickr stream. But if you are really dedicated, you may find them in the next issues of Blocks magazine.